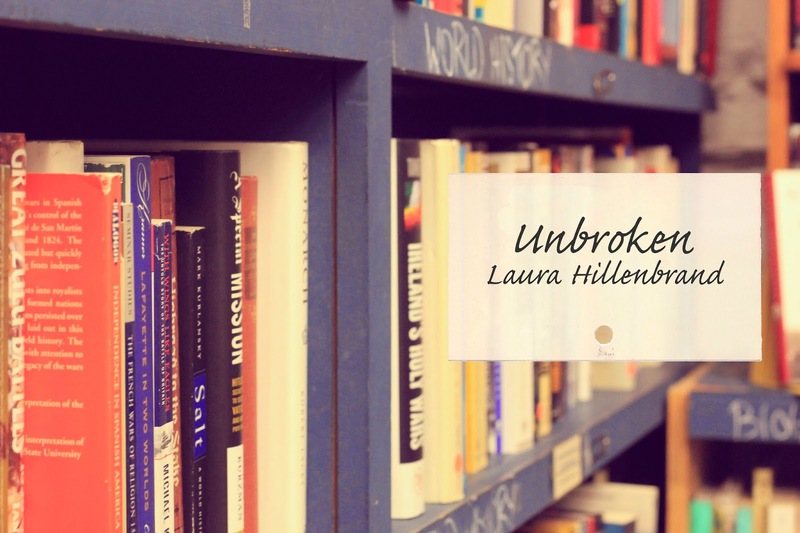 If you read any book this year, I recommend Unbroken by Laura Hillenbrand. It's not a light read by any means and the story isn't warm and fuzzy. It is, however, a book you will not be able to put down and a book that will stay with you. Written by the same author who wrote Seabiscuit, Unbroken is the true story of Louis Zamperini, an Olympic athlete turned American hero who lived through unfathomable events during World War II. He is an incredible example of the trials that a person can endure. As I was reading, I couldn't believe how one person was capable of living through such unbelievable circumstances. Louis Zamperini did survive his unimaginable ordeal, and in fact passed away just a few weeks ago at the age of 97. Another reason you should read this book right away is because it is going to be a movie! Yes, Angela Jolie is actually directing it and from the trailer, it looks like it's going to be a good one. So, have any of you read this yet?? I need a new book and this looks perfect! This is on my list, so I'm glad to see that you read it and liked it!!! I was just thinking about this book earlier today. I read it last year. Well, actually, I listened to the audiobook. It truly is an amazing story. I would recommend it too! I didn't realize they were making a movie about it - I don't know how they're going to squeeze the whole story into a movie.